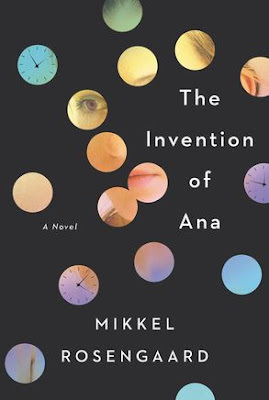 Ana is clever and funny with an air of mystery and melancholy, and lives like a prime number, someone who is fierce and unbroken and divisible only by herself. She is also bad luck, as she confesses, as she is from a cursed Romanian lineage. The intern is soon seduced by Ana's enthralling stories about her unlucky countrymen, of her parents' romance during the worst years of Nicolae Ceaucescu's dictatorship, and of a Daylight Savings transition gone horribly wrong. Ana also introduces him to her latest artistic endeavor. Following the astronomical rather than the Gregorian calendar, she is trying to alter her sense of time. It is an experiment that will lead her to live in complete darkness for one month. After descending into the blackness with Ana, the intern slowly loses touch with his own existence, entangling himself in the lives of Ana, her starry-eyed mother Maria, and her raging math-prodigy father Ciprian. Peering back the layers of her past, he eventually discovers the perverse tragedy that has haunted Ana's family for decades and shaped her journey from the streets of Bucharest to the Atlas Mountains of Morocco and finally to New York City. Rosengaard achieves his goal of illuminating the power of stories to alter the world around us, and the ones we love. The Invention Of Ana also blurs the line between narrative and memory, perception and reality, identity and authenticity. This work, which is brimming with youthful brio and irresistible humor, combines the infectious narration of Nick Hornby's Funny Girl, the philosophical lyricism of Roberto Bolano's The Savage Detectives, and the mesmerizing power of Anna North's The Life and Death of Sophie Stark. Rosengaard, who now lives in New York City, grew up in Denmark, where this book was first published and was nominated for the Danish Bookforum Prize for Best Debut Novel. He also has been honored with both the 2016 and 2017 Danish Arts Foundation's Literary Fellowship for most promising aspiring writer. This work was also included in Library Journal's "First and Foremost Debut Novels" feature.